This year the annual Bako London South East Trade show was held in Wimbledon. 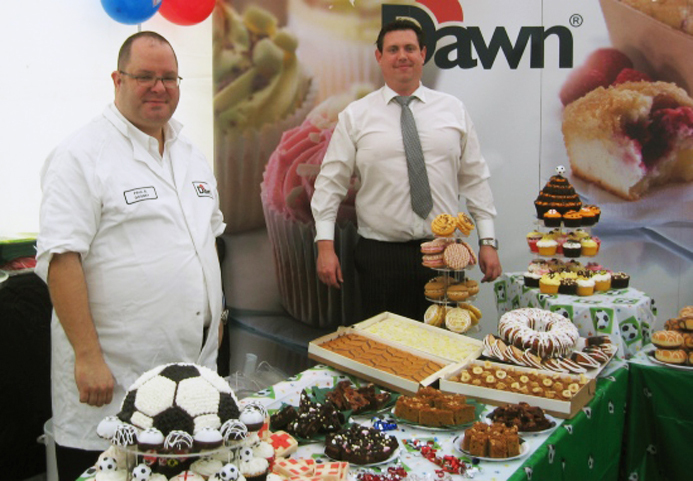 The theme for the show was The World Cup and the winner of the best dressed stand was Dawn Foods whose efforts paid off after two days of baking. New exhibitors ranging from organic energy drinks, sauces, packaging companies and even more delicious baking goods brought a fresh appeal. We hope to see them back next year with more goodies to sample. We had a good day and even had some Sunshine.